once said: "In Mexico, surrealism runs through the streets. Surrealism comes from the reality of Latin America.” So today, we invite you to embark on a dreamlike journey of more than 60 new sites that take you through Mexico’s culture and geography with Street View. These are places where ancient civilizations merge with modern-day structures and lush jungles, and where remote deserts and beaches stretch neverending towards the horizon. No, your eyes aren’t playing tricks on you; the magic is real in places like Holbox, where big resorts and tourist traps seem to be a world away. You can leave your worries behind and make new friends while snorkeling the clear, blue waters. Mexico has a rich heritage of religion and tradition. Explore the country’s sacred sites, like the Catedral de Merida, one of the oldest cathedrals in North America, and the remains of the Museo Ex Convento de Tepoztlán, which was first built for the Dominican friars in 1555. 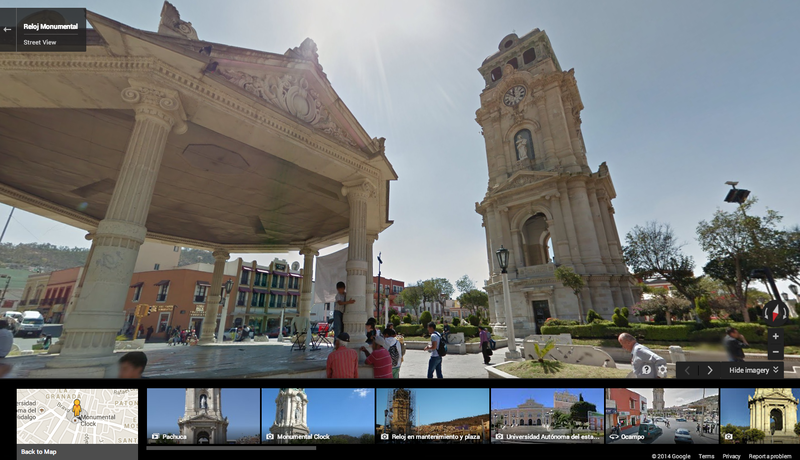 As we approach the end of our virtual tour, it’s a good time to take a look at the iconic monumental clock in Pachuca, Hidalgo. Close to Mexico City, this former mining town witnessed the country’s history from the pre-Hispanic empire to today’s modern republic. 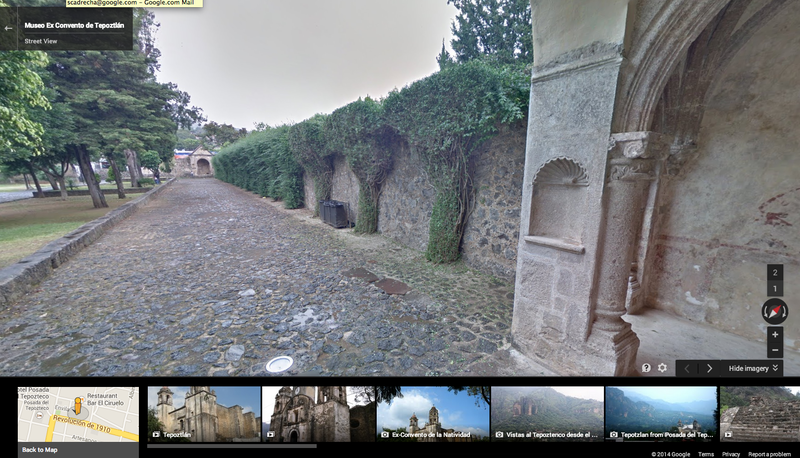 This imagery from across Mexico is the latest of our Street View Collections, in which we capture the world’s natural, cultural and historic legacy for you to explore. 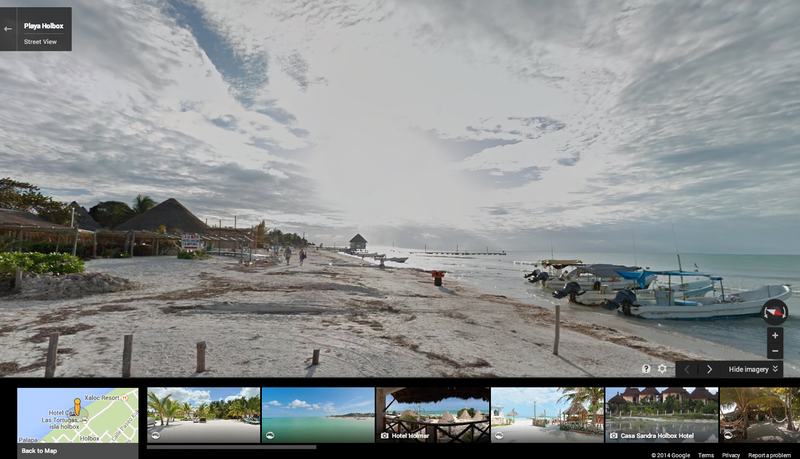 Now pack your virtual sandalias, grab your digital sunglasses, and discover Mexico’s history with Street View on Google Maps! The famed author Gabriel García Márquez once said: "In Mexico, surrealism runs through the streets. Surrealism comes from the reality of Latin America.” So today, we invite you to embark on a dreamlike journey of more than 60 new sites that take you through Mexico’s culture and geography with Street View. These are places where ancient civilizations merge with modern-day structures and lush jungles, and where remote deserts and beaches stretch neverending towards the horizon.